How many years you been manager? Started a Villa save. Just for one season to see if I can keep them up. Awful team. 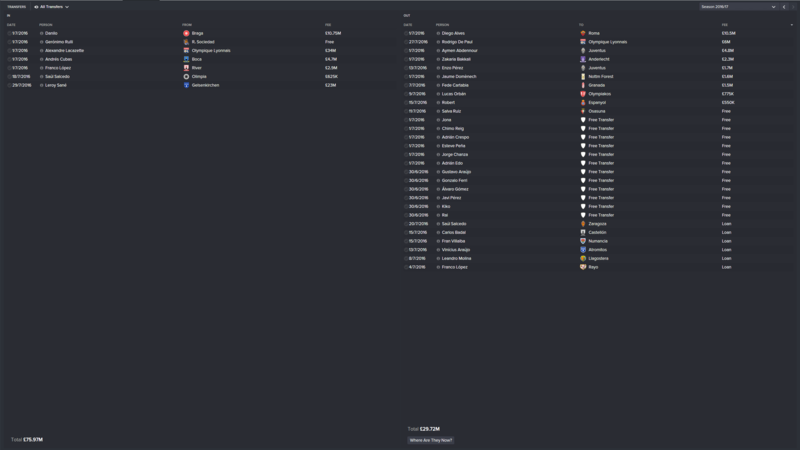 Signed some good players like Callum Wilson, Kanneman, Guilherme and Craig Noone and got two wins and 3 losses (Chelsea, Mancs and Liverpool). Wow! That's a LONG save. Back to Swindon. Gave up with Villa and can't really get into a Valencia save even though they have a nice team with some good youngsters. Paul bloody Saller! Pick that one out. WTF . I've gone back to my Real Sociedad save. Currently in my 3rd season and I'm joint top with Real Madrid after 27 games, 9 points ahead of Barca who are in 3rd. The owners are stingy as f**k. I've not had a net spend in favour of players purchased once yet. Whenever I come up to a transfer window the board decide to reduce transfer revenue percentage from 100% to either 50% or 75% but then increase it again once the window closes. I've had to rely on selling players like Vela, Inigo, Illaramendi, Agirretxe, Canales etc. It doesn't help that the club gets barely anything from the domestic TV rights deal. I've conceded just 9 goals in 27 league games and kept 20 clean sheets I'm sure it's some sort of glitch. Edit: One point I meant to bring up, why when I'm not doing interviews do I have a 25% rating yet when I do every single interview for like 5 months does it go down to 1%? How is Talisca? I always liked his stats but he's hard to get early and then a few years down the track you can usually have someone else for less with better stats. No idea about that interview glitch. Never do interviews or anything. My defence has conceded once in 9 games in the league but that's because i have 4 world class defenders and the best keeper in the game. To achieve that record in La Liga against Real/Barca's attack with those defenders is brilliant. He's quite good mate. He got double figures for goals and assists in the first season but I've gone to a 4-1-4-1 now, he's being played at CM so his production wasn't as good this season. The only downfall is the mental side of his game, he has some work to do to develop his decision making, work rate and flair. If I was one of the big teams I don't think I'd buy him. I'm surprised I've managed to do as well with such a young group of players even if quite a few of them are in the wonderkid mould. It's helped me to have a consistent starting 11 for the past few seasons though that's for sure. ^ bloody hell to both. Great season and that's a f**king signing and a half. Always dreamed of using Bale in FM. His stats and mentals are phenomenal. Never seen him become available though. That's as the Man City boss. They offered me the job at the end of the season and after the Sociedad owner only gave me 12m I decided to bite the bullet. I think it's really hard for the other Spanish teams to go far on this game when they don't get the same financial benefits as Barca and Madrid. I love Asensio. Usually rots at Madrid if he isnt picked up by someone else early in my saves. I had him on loan for 6 months in the 16/17 season and he was quality. Ye I kind of missed that key detail out . City are dickheads with transfers. Always take them to the cleaners when they want my players. At least it is for a Ruben Neves and not some sh*t, random player. - They sold Denayer for 13m then bought him back again 6 months later for 15m. I've been playing this a lot lately since coming back from Switzerland. I started a save with St Gallen in the Swiss League. In my third season, I have won the league twice and the cup once, losing a cup final as well. 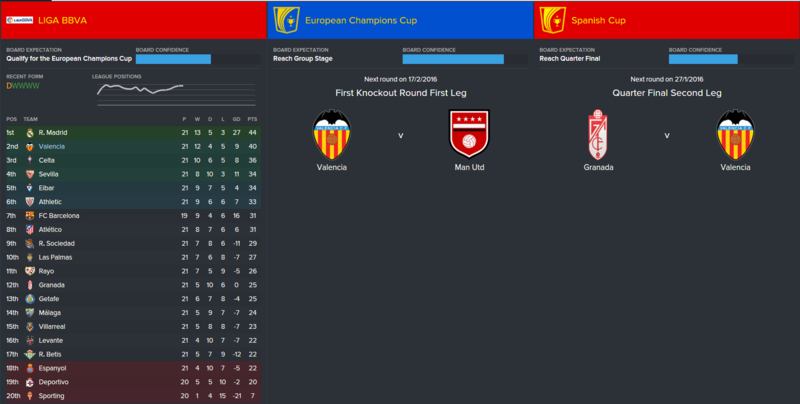 I made it as far as the UEL semifinals but lost to goddamn Sevilla (I'm starting to really hate those cu*ts). Now in the 3rd season I've managed to qualify for the knockout rounds of the UCL in a group that also had Sporting (who finished 2nd), Man Utd (3rd) and Zenit (4th). I topped the group with 11 points! It feels quite surreal still but I'm playing Leverkusen in the round of 16 - a winnable tie, though it won't be easy. I've managed to sign quite a few good young players but always rely heavily on wonderkids on loan. My current best player is LFC's Ojo - I've had him for the 3rd season in a row on loan but only now (at 20) he's really become a superstar. He's scored nearly 20 goals in the first half of the season alone and been named European Golden Boy. His loan contract has a £12.5M buy clause but I doubt he would accept to discuss a permanent contract... I'm surely going to try though (provided I have that money). I always have fairly big squads, so on top of that I also got players like Carlo Ascues, Gianluca Gaudino, Michael Frey, Jorge Correa, Ulisses Garcia, Sergi Palencia, Edimilson Fernandes, among others in my squad. The average age must be ridiculously low. Somebody else who has realised the talents of Ojo on this game Some really good players in that team. Adelaide is definitely one of them. Yeah that's funny, in my other saves I've never seen Ojo become such a good player. His stats keep improving all the time, if he keeps up this kind of improvement he'll become even more of a beast. Maybe it has helped that he's stayed with me on loan for a 3rd straight season, and I used him quite a lot. I think in FM, as in real life, getting first team experience makes a real difference in a player's development. Adelaide is also a fantastic player, and I love that he is equally good in either side. The buy clause in his contract is £25M though, I got no chance of signing him permanently. I had Ojo on loan for about 3 years on a Huddersfield save. Liverpool wanted to use him in the first team so I had no chance of signing him permanently. Absolutely pathetic that the first thing i've done since returning from overseas is play this game. 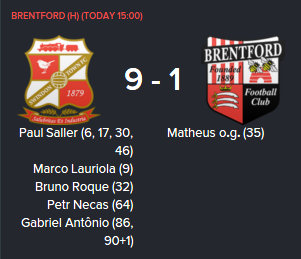 5-1 up after 35 minutes though Eat it Brentford. Absolutely no idea how i got Hummels for that cheap or why he wanted to sign for me Also got that young fella Danilo from Benfica on loan who signs on permanently before you start the save. Geronimo Rulli coming in for free and will be letting Matty Ryan and a few other keepers go next season. I like how Barca are bottling it on your save like they did on my Sociedad save . I've not been on for a few days, might go on in a minute for an hour or so (probably turn into a few while I watch baseball). They're cu*ts. 87th minute own goal gave them a win over me. Finished 4th. Gabriel Barbosa, Jose Gaya and Joao Cancelo top three young players of the season and Matty Ryan was goalkeeper of the year. Aussie Aussie Aussie! Forced me into keeping him and selling Diego Alves as i could get £10.5m for DA and no one was bidding for Ryan at £5m. Got Rulli in for free to compete with Ryan and Yoel as 3rd choice.